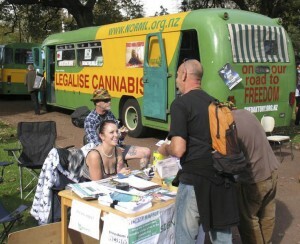 NORML NZ is working to reform our cannabis laws. Free events in Whangarei, Auckland, Hastings, Taupo, Wellington, Christchurch and Dunedin – more info coming soon or contact us to register your interest in helping out. Can you organise an event in your area? The cannabis referendum will be binding and held at the next election. Tell your MP: #MakeItLegal. See www.makeitlegal.nz or facebook for more information or to join the campaign. Medicinal cannabis – the new law, which has taken effect, removes CBD from the Misuse of Drugs Act so that any doctor may prescribe it; creates a statutory defence for patients undergoing palliative care to use, possess and obtain illicit cannabis for medicinal purposes; and creates a full scheme by December 2019. NORML’s guide to writing an effective submission. Stop the arrests! We’re calling for a Cannabis Armistice. Winners of the 2017 NORML Awards. Nominations now open for the 2018 Awards. Govt to hold referendum on legalising cannabis by 2020. Police still prosecuting “Green Fairies” who provide medicinal cannabis. New regulations for cannabidiol take effect from 7 September 2017. 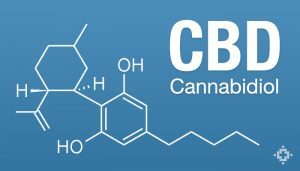 CBD will remain a controlled drug however restrictions be lifted so that GPs and other doctors can prescribe CBD to patients without needing special approval. NZ Drug Foundation releases “Whakawātea te Huarahi – A model drug law to 2020 and beyond” [Download PDF]. What do you think? Support for cannabis law reform continues to increase, with the latest UMR poll showing overwhelming support for medicinal cannabis law change – and the lowest level of opposition (12%) ever recorded in a New Zealand cannabis poll. A Drug Foundation-Curia poll in August 2016 also found two-thirds of Kiwis want to end criminal penalties for cannabis possession, and up to 82% support for medical use. 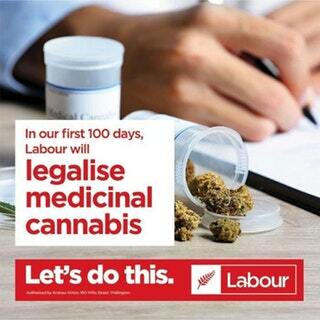 Other recent polls include a TVNZ poll (12 April 2016) showing “the majority of New Zealanders are now in favour of the use of medical marijuana”; UMR poll (31 March 2016) showing 72% “support the use of marijuana for medical purposes” with only 13% opposed. Read more NZ cannabis opinion polls here. Check out our section on medicinal cannabis. NORML is New Zealand’s oldest law reform organisation, and one of our three primary goals is to facilitate safe legal access for patients using cannabis medicinally. As Australia prepares to approve medicinal cannabis products, an important legal case has confirmed patients can bring a one-month supply from any country where it has been legally supplied. 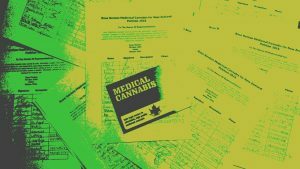 Rebecca Reider has written a guide explaining how to bring medicinal cannabis into New Zealand, legally – UPDATED DEC 2016. Bongs, pipes and vaporisers reduce harm from smoking, but have been banned for sale in New Zealand since 1999. Submissions are open now on a proposed law change. A new NZ Ministry of Health discussion document proposes amending current laws and regulations to reduce the impact of criminality and to control the availability of drug utensils including cannabis bongs, pipes and vaporisers. Have your say here, by Tuesday 20 September 2016. Cannabis is the third most popular recreational drug in New Zealand (behind only alcohol and tobacco), and has been used by nearly 2 million Kiwis. According to government surveys, around 540,000 New Zealanders smoke pot regularly, while 70,000 light up every day despite harsh laws against its use. Our public policies should reflect this reality, not deny it. NORML’s mission is to move public opinion sufficiently to legalise the responsible use of cannabis by adults, and to serve as an advocate for consumers to assure they have access to high quality cannabis that is safe, convenient and affordable. Cannabis should be a Health Issue, not a Crime! Help us end prohibition now!